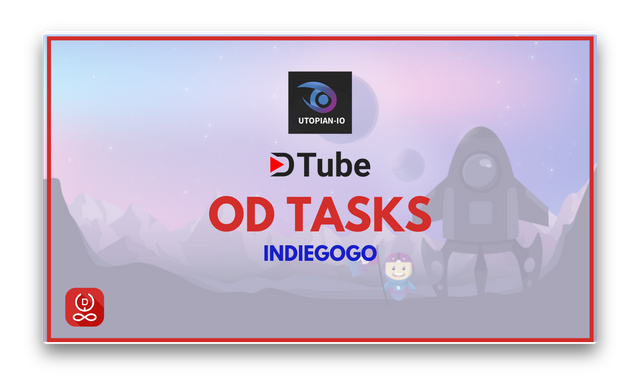 Hello Everyone, last week we launched a task to promote @Utopian-io's Indiegogo Campaign. This week we are calling out all video content creators, especially @Dtube(ers) to help us with the promotion. Let's create maximum impact. All videos/vlogs created to promote the campaign will get upvotes based on the quality and visibility of the content. (Read "EXTRA TO DO" Section) Utopian will be trailing the Oracle-D upvotes to support for additional rewards. Follow and Promote @utopian-io's Indiegogo campaign on Steem and other social media websites through promotional video. Utopian Colony is the first crowdsourcing platform to connect open source projects and contributors from all digital professions. The culmination of a year operating a successful proof-of-concept, Utopian aims to launch the open source ecosystem into a new age where all digital professionals are empowered to take part in open source innovation. Help us release an early version of Utopian Colony by Q2-2019! It will turn pink once clicked. Share using the Facebook button. Each share link is personal and can be done via Indiegogo. 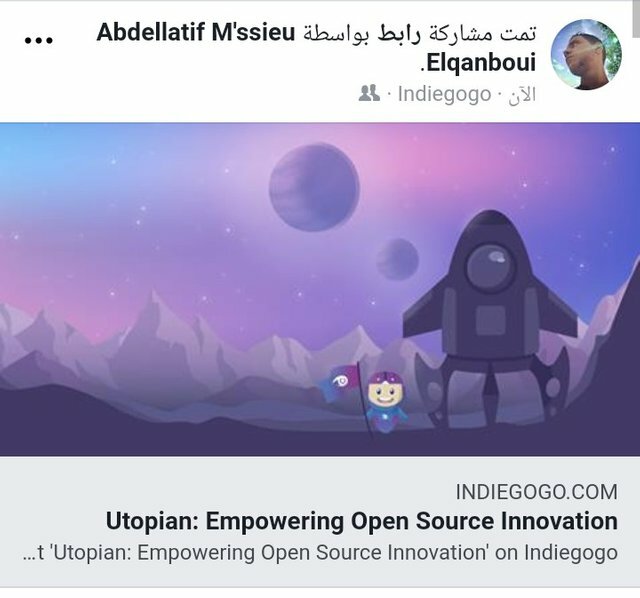 Sharing this link https://igg.me/at/utopian directly on Facebook is also fine, but doing it from Indiegogo via the Indiegogo button is preferred. Create a promotional video/vlog addressing to open source community and asking them to invest on Utopian's Indiegogo campaign. Upload on Youtube and Dtube both. Upvote & Resteem the campaign's launch post HERE by @utopian-io. Create only high-quality professional blogs, videos, images, graphics etc..
Video must be at least 90 seconds long. Share your content on various social media websites and spread the word as much as you can without spamming. I contacted moderators in utopian about how we can work with them there as vlogers and they said that there is no way, only if it's open source, I don't know anything about open source and I'm not a developer. How indiegogo campaign can benifit vloggers ? But the moderator told me, that's not for everyone. Still confused about it. I think if you read this post well you'll understand what is expected of us as DTubers. We just basically have to promote the campaign, like create awareness of it's existence in the stated platforms. Exactly, that's why they have to give more space to vloggers to contribute, not only by making them promote something they don't understand, but by educating them about open source. Maybe it's just not for me, but I have a lot of questions about this topic, take a look at my recent post, maybe you can answer at least one @d00k13 ? Simply put I don’t waist my time with trying to understand how to contribute to development, way over my head! Open source is nothing fancy just means publicly owned code VS something like twitter privately owned code. I knew you' be all over this haha. Keep the Tags Moving Everyone... Let's get on this All #dtubers... Let's Blowup the Social Media Platforms for this Amazing Initiative Today!!! 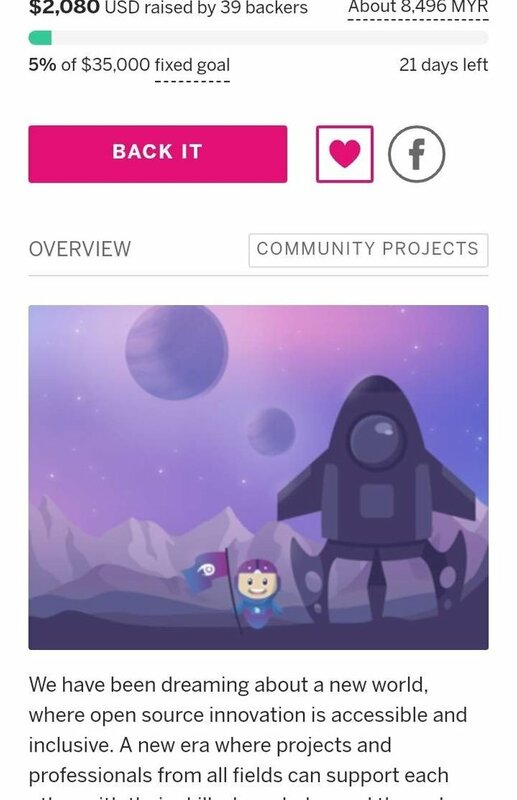 Well Its really another great Initiative where the great Dtubers can get the chance to contribute something by promoting Promote Utopian's Indiegogo Campaign. Actually I am also excited to participate in this initiative. Let's we do this guys! Are u ready for new task? Thank you.. going to go through all details. Here is another yet task, I will be happy to join the contest to promote indiegogo although, I have not for once created dtube video. But for this utopian promotion. I have to contribute my own quota. I'm calling on @mistakili to join in this challenge. This is another means to promote Utopian to the world. I am calling all vlogers to get on board and get this done. @samminator @valency1 @rufans @otemzi. Another awesome opportunity! Please head over here @cryptogod2018 @meno @pechicmena @lordjames @agbona... Please keep the tags going. @dmiliz , @xcountytravelers , @jeronimorubio , @steemflow, @sergiomendes .. check this out. Will try to make a video for the task hope it turns out good. Wow! This is going to be huge. Calling on famous dtubers to bounce on this. Thanks for the information will make one today .Can we write an article about it?? I also want to use this medium out reach out to @ashtv @waybeyondpadthai @nonsowrites @hafizullah and @adetorrent to also participate in this. Thanks! Thanks for tagging me @k-banti . This is a pretty cool one to get involved in. Looking forward to your stuff. I'm glad you found it interesting. Looking forward to seeing something cool from you too. Really do not know many dtubers but at least I know a few. Y'all should come out and let's support Utopian Indiegogo campaign. Will take part this; I welcome @syedumair, @owner99, @donefezy, @waybeyoundpadthai, @travellit to take part in this task. Hello guys @coretan @pojan @suheri @podanrj @akbarsanjani @ettydiallova @teukurival @arie.steem ... Maaf untuk panggilan ini. Saya mengudang Anda untuk berkontribusi pada tugas ini. Mungkin saja Anda tertarik untuk melakukannya. Jika tidak, lupakan ! Allows we do this folks! Are u prepared for new undertaking? Definitely this utopian's Indigo colony campaign will grow day by day. This campaign has completed 5% of 35k USD target within 20 days that is satisfactory. 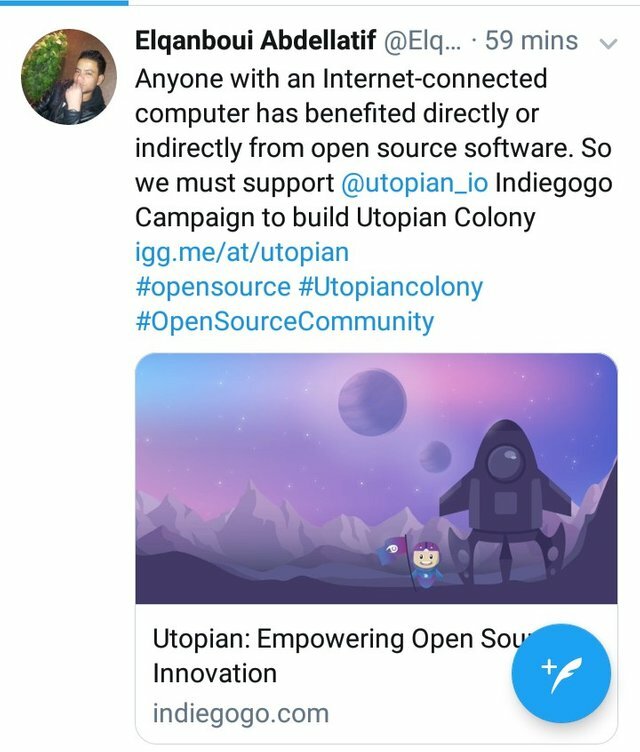 I am already trying to spread awareness through our blog about early version utopians Indiegogo colony campaign 2019. STOP tagging me on this post! Thanks for inviting me. I'll collect more details and then I hope to join it before closing date. Thanks brother for tagging me. I will help to share awareness. Really great. Upvote and Resteem. Will partake this; I welcome @jennifer3204, @bheekaran, @mistysummers, @sevendust04, @santuroy1990 to participate in this assignment. Firstly i want to give thanks to @hafizullah for informing me about this. Really it is great Initiative for@utopiancolony, and i believe that, steemit and dtube is the best platform to promoting this campaign, Hope that all of great steemians and Dtuber will give a great afford to promoting this campaign, on steemit, dtube, twitter, facebook, instagram and every kind of social media platform. Here is my first contribution for this great campaign. @sajurahman, @nnipuzz, @habibaripa, @rem-steem, @moniroy-moni. Thanks for tagging and letting me know. But I am not a blogger, maybe not gonna participate. But looking forward to some great initiative of dtubers and vloggers. Sounds about right. Shout out to @honoru @aellly @janicechua @sasaadrian @sunai to support this project. @urme33 @hafizullah, @mamun123456 @rehan @clicked you guys would want to join this, i hope. 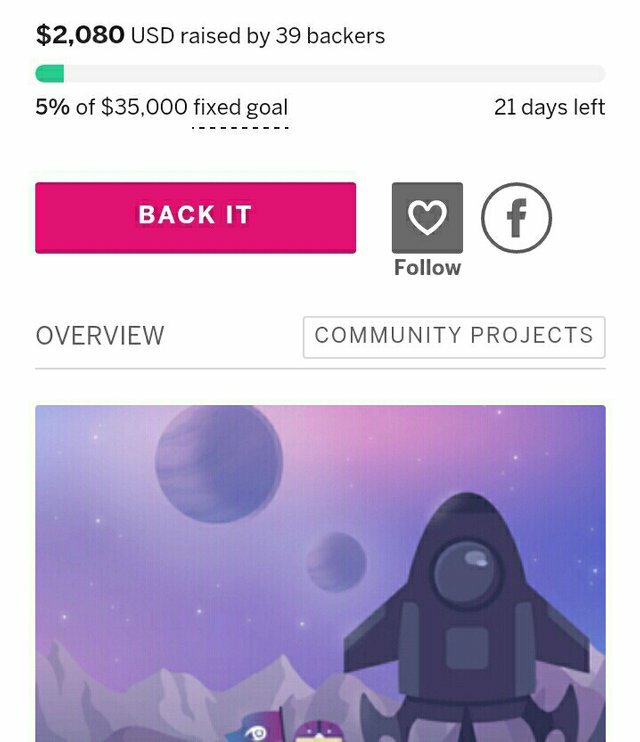 Well Its amazingly another fantastic Initiative where the exceptional Dtubers can discover the chance to contribute something by progressing Promote Utopian's Indiegogo Campaign. In actuality I am moreover anxious to share in this movement. This is very good information. I will try to make it. I hope I succeed. This is a task to make utopian Indiegogo Campaign more viral. My dear Dtubbers @fredkese @paajohnny @afolwalex @ammyluv @clicked come let's do this. I should need to call @skarga888 @peekbit @wolfhart @missaj @rasoul @anggreklestari @mitchtokita @abdullah50 trust you take after this video blog. Allows we do this folks! Are u prepared for new assignment? Permits we do this people! Are u arranged for new endeavor? @gandhibaba, @ferrate, @kgbinternational, and @uvilemonpie come pursue my lead, fellows! We got this! This is another approach to raise Utopian to the world. I am calling all vlogers to bounce on board and complete this. @zhangfapei @neilamarcano @bredcovin iskandarishak @abdullah50 @mitchtokita. Hey @oracle-d @utopian-io I already made one campaign video detailing bout the project...now looking forward to make another one. ..here is the reference link. I posted few days ago. @oracle-d Team, I am sure that some amazing and creative minds will going to come up with Promotional Videos which will going to spread the word and also will going to gain the needed Recognition. New developments and steps in this Economy is boosting aspect and for sure every new development will attract more people torwards this space. Look at this @sandra89 @behelen @iamjadeline @jeronimorubio! Resteemed this article. Thank you for Supporting Steem community. Lets do it friends! Another opportunity! Go along with me, let us do this..
Will endeavor to make a video for the task trust taking everything in account, amazing. This will be gigantic. Approaching well known dtubers to bob on this. I've made a few videos coving DrugWars. I might be interested in doing one for you...! Yeah! This is such an extraordinary method to get idealistic Indiegogo Campaign hard and fast. calling my dtuber and vloger companions. Lets do it companions! Another chance! I contributed to this, but it's mostly a question about what exctly to promote. I hope I will have good answers that will make me understand everything to be able to promote. This is a task where vloggers can show their creative acumen. calling my dtuber and vloger friends. Yeh i got another chance to make one awesome video and i will try to put my all efforts to produce this video thanks team for providing this awesome opportunity.